The Orca Behavior Institute (OBI) is a 501(c)3 non-profit organization started by Monika Wieland Shields and Michael Weiss in March 2015. Our mission is to conduct non-invasive behavioral and acoustic research on the killer whales of the Salish Sea and beyond. Monika has been researching orcas as citizen scientist for fifteen years. She has collected data for The Whale Museum’s Sea Sound Project, completed her undergraduate thesis at Reed College on killer whale acoustics, and reported changing whale behavioral trends on her blog, Orca Watcher. As of 2017, Michael has temporarily left OBI to pursue his PhD, but a strong team made up of our Board of Directors and field assistants/researchers supports the work started by Monika and Michael. In 2014 we invested in a boat and a hydrophone, and for our first official field season in 2015 we collected data for Michael’s undergraduate thesis at Reed College and also began data collection for several longer term projects. To learn more about our research interests, check out the “Our Research” tab. In 2016 we became accredited as a 501(c)3 non-profit organization. 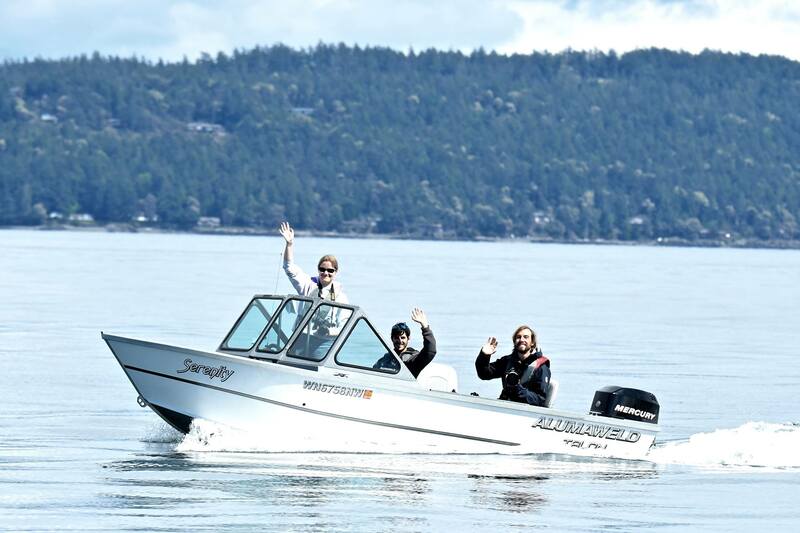 All data collection is considered non-invasive, occurring either from shore (about 75% of the time) or by boat in accordance with all whale watch regulations and guidelines in Washington State. We adhere to the federal regulations established in 2011, as well as the additional voluntary “Be Whale Wise” guidelines followed by the Pacific Whale Watch Association. If you have any questions or concerns about how we operate on the water, please don’t hesitate to contact us. You can help support our research efforts by donating via the PayPal link at the top of our homepage.